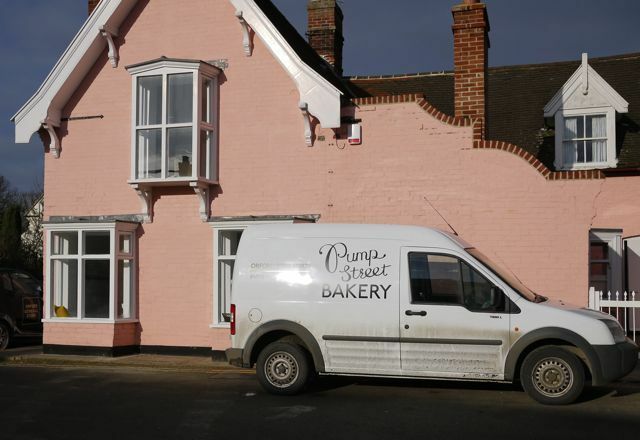 Just after New Year I finally got to go along to Pump Street Bakery in Orford to try out what, after only a few weeks, seemed to be fast becoming Suffolk’s most talked of bakery and coffee shop. I went along to meet up with @Farctum and also @donna_de a couple of my Twitter chums. And as well as great conversation I was delighted that Pump Street lived up to its advance billing. In all respects. the building has been restored carefully and considerartely and the selection of goodies on offer is spot on. The coffee beans are from Monmouth Coffee in London, and its fair to say I probably sampled too many cups! I also had an Eccles cake with Kirkhams Lancashire, so good I took some Eccles cakes away with me. 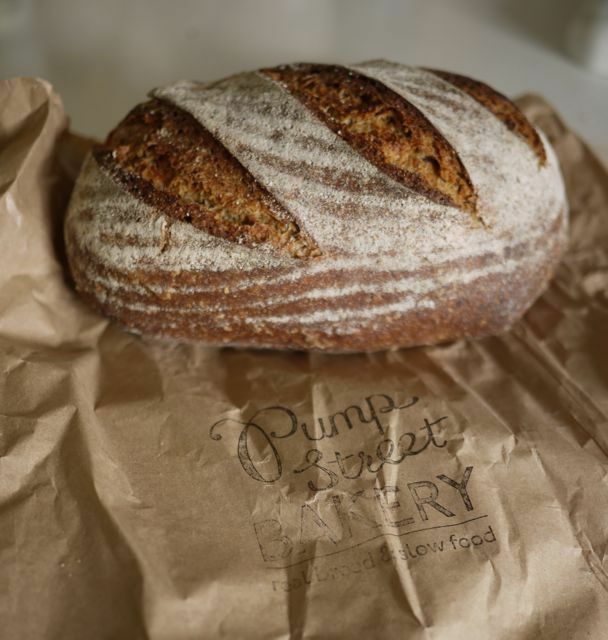 And I bought a lovely loaf of light rye….great crusty lovely texture and taste. I can’t wait for my next visit.